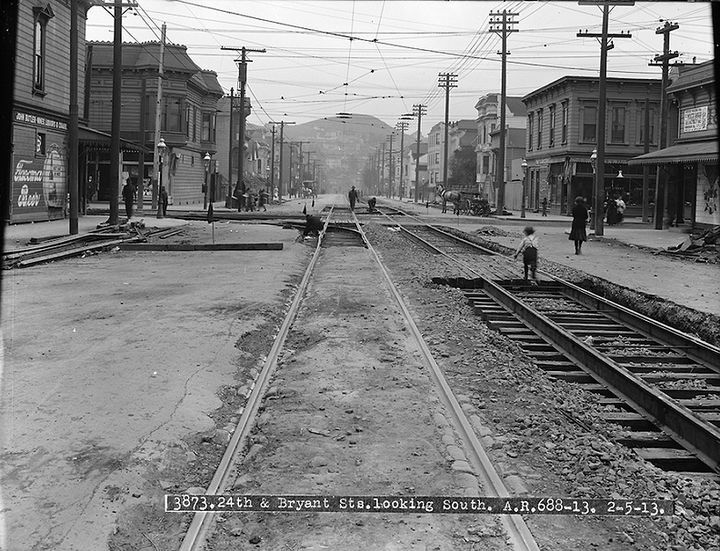 Streetcar tracks under construction at 24th and Bryant, looking south with Bernal Heights in distance, February 4, 1913. 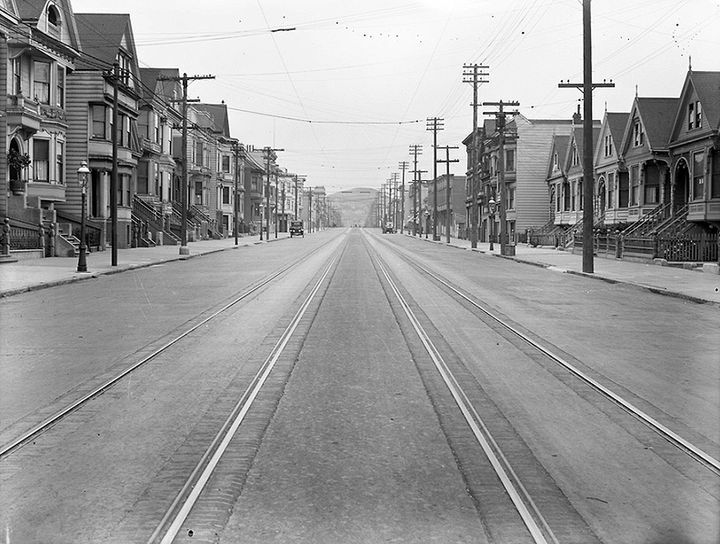 Bryant and 19th Streets, looking south, January 22, 1916. 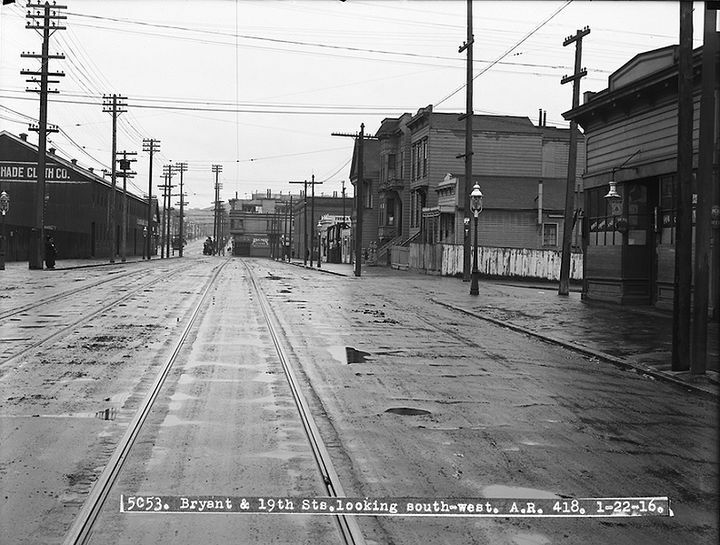 Bryant and 23rd Streets, looking north, Jan. 14, 1916, less than a year before the violent 1917 strike broke out. 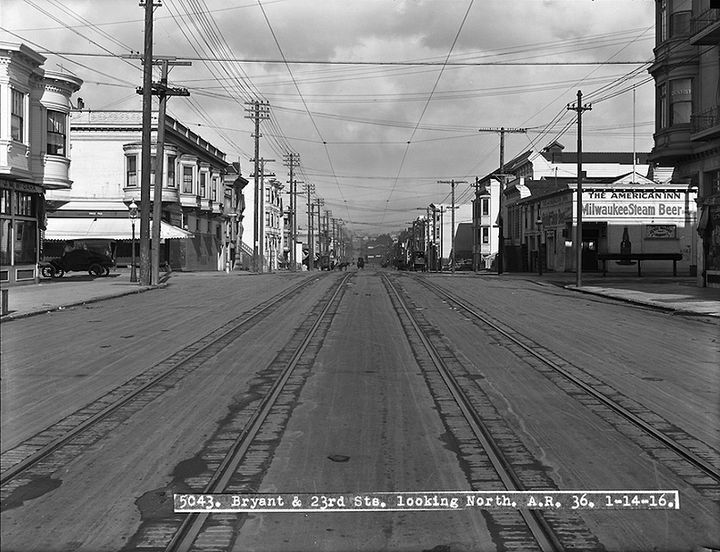 Bryant at 22nd, looking north, March 14, 1916. 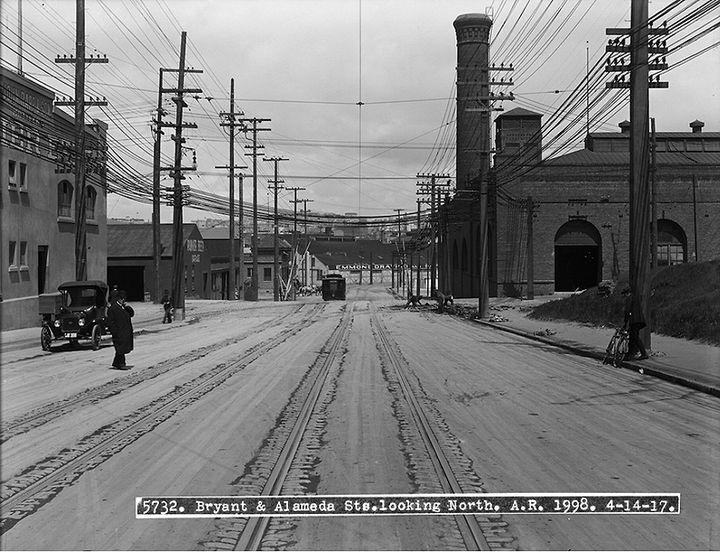 Bryant Street northerly near Alameda Street, April 1917. 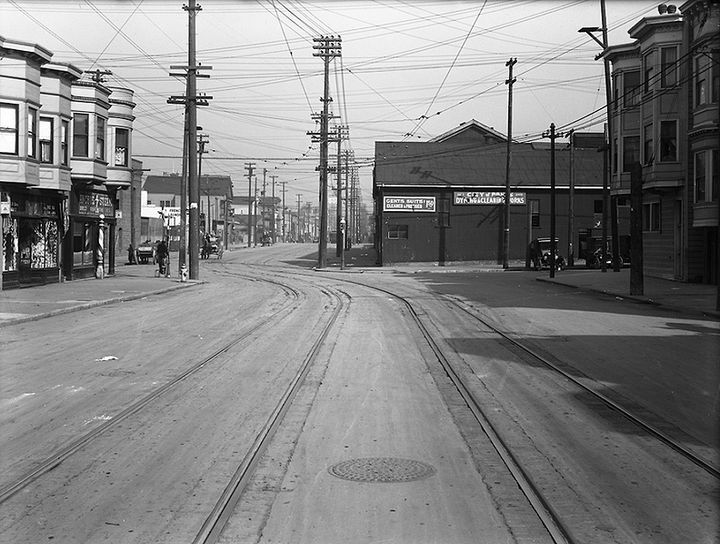 Looking north on Bryant at 20th, March 13, 1918. 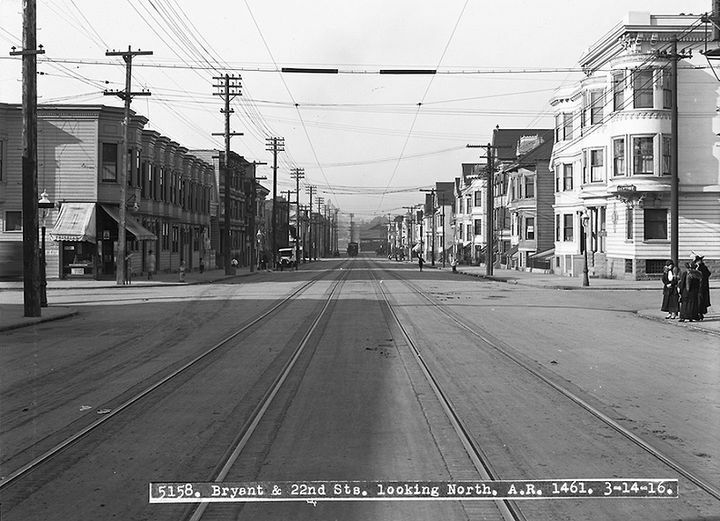 Bryant and 21st, looking in a southerly direction, July 19, 1919. 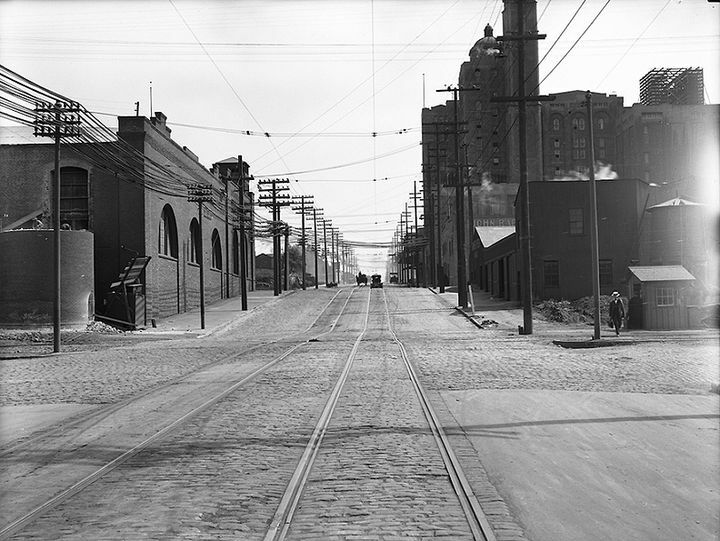 Bryant and 11th Streets, looking south, August 6, 1919. 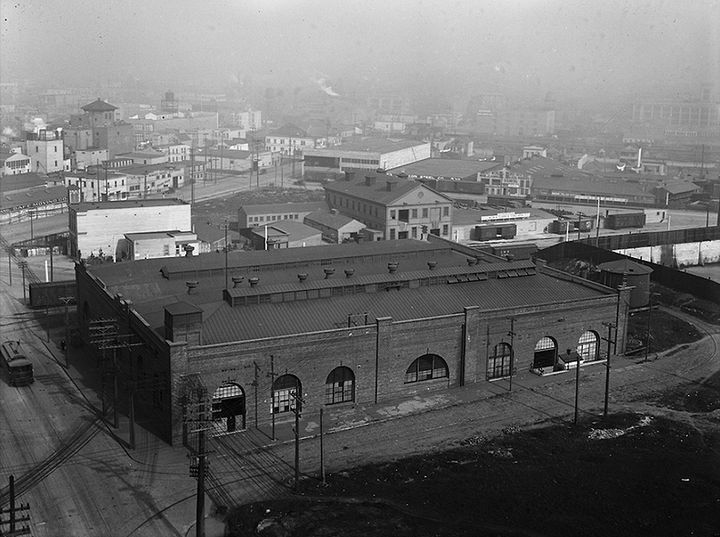 View of powerhouse at Bryant and Alameda from the roof of Rainier Brewing Company, January 1920.